Bev White began her company called Happy Tymes Collectibles in a rural town just west of Philadelphia, Pennsylvania where she and her husband, Mike, raised their five children and welcomed many grand children. 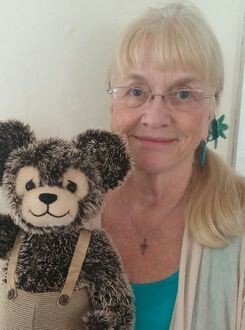 As she now enters her 35th year of making Happy Tymes® Bears, she plans to focus entirely on her artist bears while retiring the Teddies To Go line along with all its happy memories. 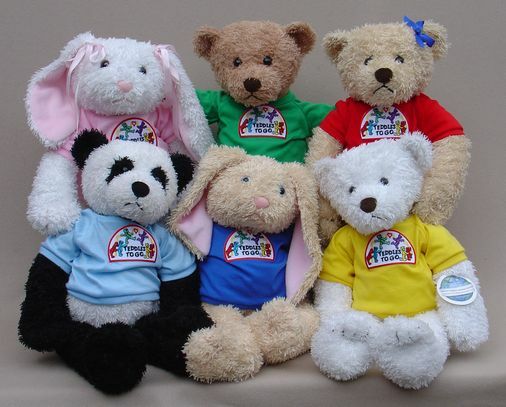 In the 1984, she sought to establish a professional mark and profile for Happy Tymes Collectibles by achieving four registered trademarks and many registered copyrights with legal guidance. 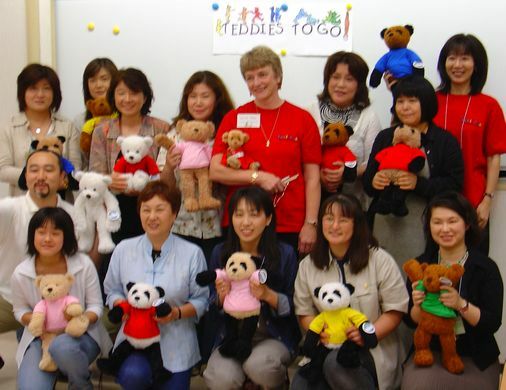 Year 2000, first group of Teddies To Go that I designed to have manufactured in Asia, preparing for their launch in 2001. Before Bears she practiced professional nursing for 20 years, ministering to the physical needs of others. Then in 1984, choosing to lay nursing aside in pursuit of artistic interests, she began a little doll business. 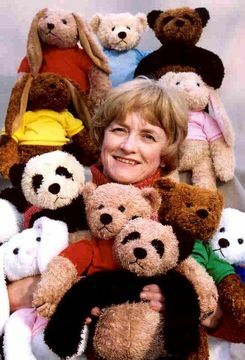 Her little wooden nursery rhyme dolls gave way to the bears in 1985, when she lacked the three bears to accompany Goldilocks and from there, it blossomed into an entire industry for her. 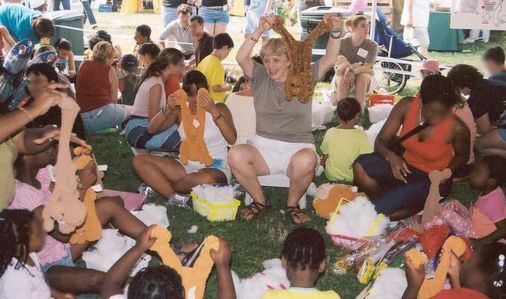 Early in 2001, she developed Teddies To Go, an innovative addition to an earlier expansion of her company, which she called "Global Designs. Bev affectionately calls this her "Team Teddie". 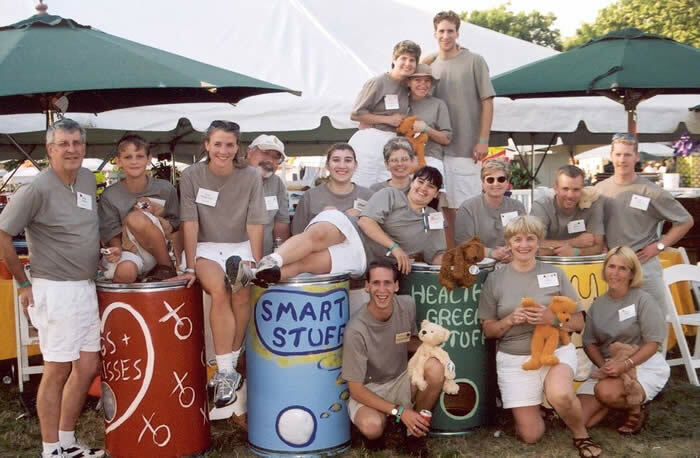 A wonderful group of family and friends who agreed to help provide the stuffing-fun for their first big event in NY City, summer 2001. "I still can't believe we stuffed almost 800 animals that day, all by hand!" Bev exclaimed. 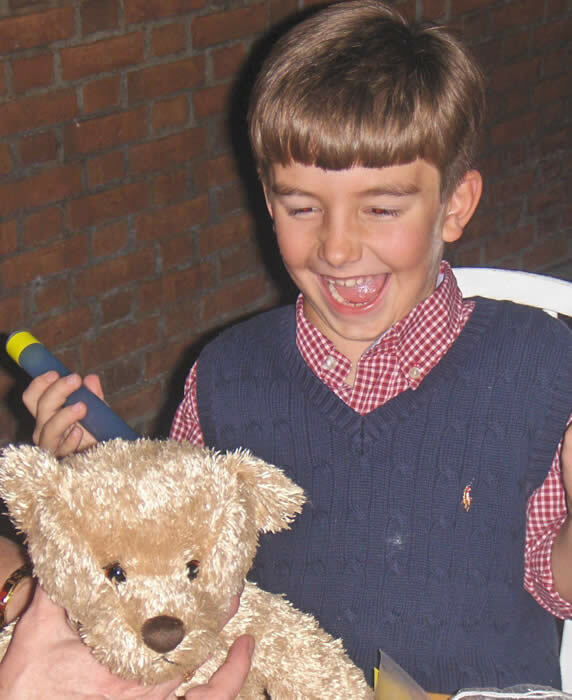 "This was only the beginning for Mike and I, our long journey with Teddies To Go." 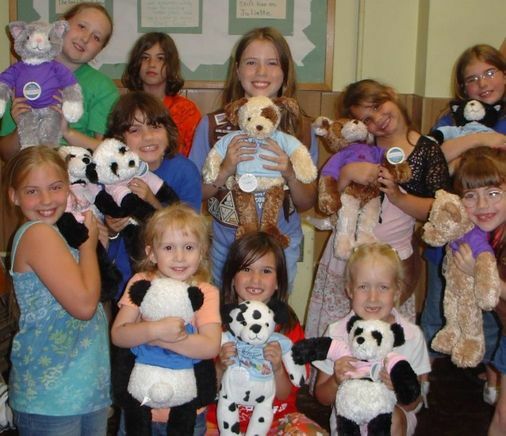 Teddies To Go, featured a simplistically designed bear, panda or bunny that allowed the interactive satisfaction of stuffing your own bear; available in the form of an individual complete kit, or shared as a group activity of any size, and for all ages. She called it “Bear Making 101- the Basics”. To assist filling the long arms and legs she invented a 2-piece “Big Stuffer” tool. The poly-fiber company liked it and decided to have it manufactured, packaged and marketed through the Joann Stores for several years. 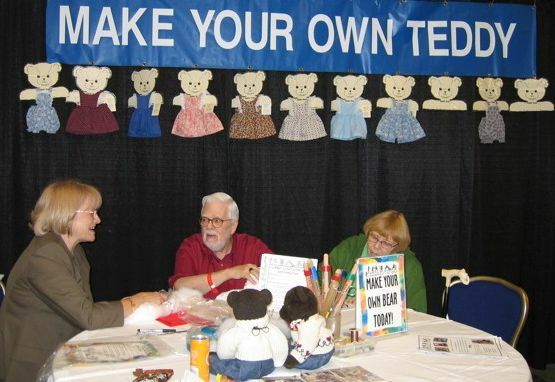 The complete take-home kit offered an opportunity to enjoy the hands-on process of stuffing and finishing the bear and it could be experienced in nearly every possible venue: meetings, conventions, shops, hospitals, parties, and also in the privacy of their homes. They could be custom tailored to the right "fluffiness" the collector desired and could also hold little treasures such as a lock of hair, personal mementos, even potpourri or an ice bag. 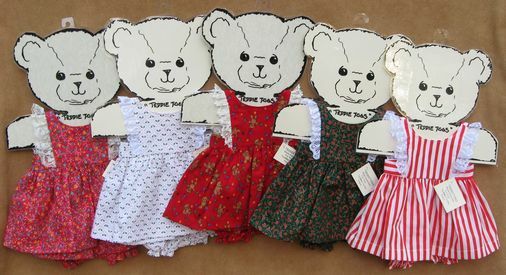 Teddy Togs' are cute outfits for your Teddies To Go bears. It also provided Bev an opportunity to return to hospitals and tend to the emotional needs of patients after retiring from nursing. 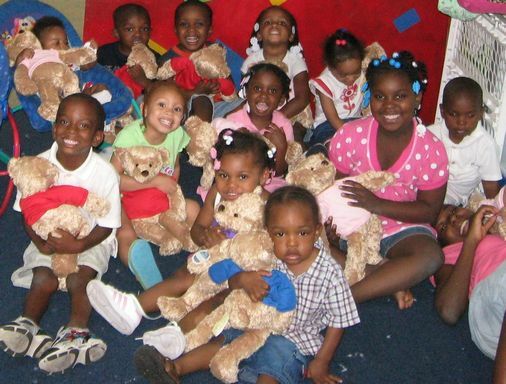 One such experience happened when she presented Teddies To Go at the Children's Hospital. Bev recalled, "We were asked to participate in providing fun for the patients and their families on the oncology unit and in the clinic. Among those festive events, one little girl stood out in particular. 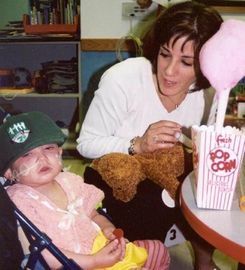 Her mother brought her into the hospital playroom in a small stroller with all her tubing attached. She was so very ill. Painful treatments and limitations become a fact of life for these little ones. She told her mommy to stuff the bear for her and she only wanted to "hold the heart". 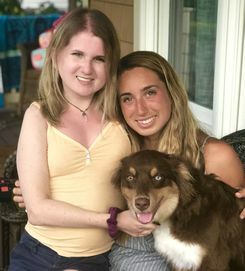 My prayer was that her little heart would continue to beat longer and stronger with the care and love that surrounded her. Years later, her proud mom found me on the Internet and sent me a picture of her beautiful and healthy teen daughter. She is today a bright, talented and lovely 17 year old." 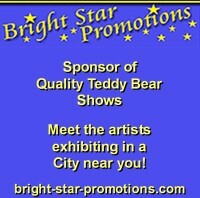 who are making their own bears! Stuffing bear can be exhausting! 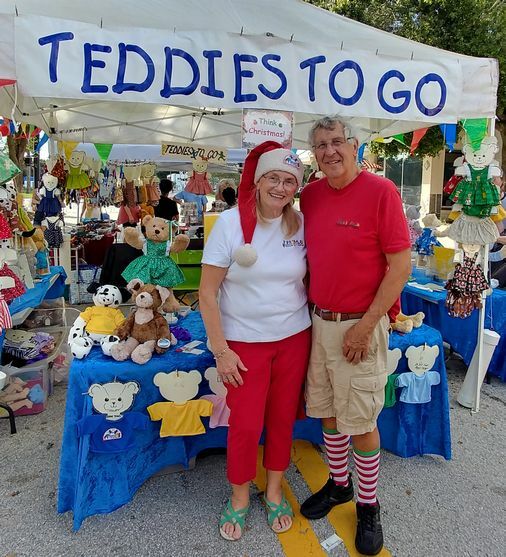 Bev White is retiring her Teddies To Go line from her teddy bear business this year, looking back at all the joy that this industry has brought to her and allowed her to give to others. Happy Tymes Collectibles will continue presenting one-of-a-kind and limited edition creations. "I've truly enjoyed the opportunity to direct workshops at a variety of venues, both nationally and internationally. Sometimes it is difficult for me to believe that these simple little teddy bears have been responsible for my extensive international travel. They have allowed me to make so many new friends and experience so many wonderful new places. They have slowly stretched their fuzzy paws around the globe, touching the lives of people whom I may never meet. 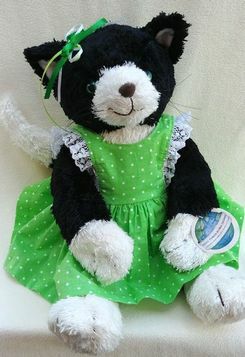 My teddy bears are a nostalgic expression of who I am, a furry collage of my life experiences, my emotions and perceptions, my creativity and energy. I take great joy in knowing that this work of my hands can bring a sense of wonder, happiness and friendship into the lives of others."